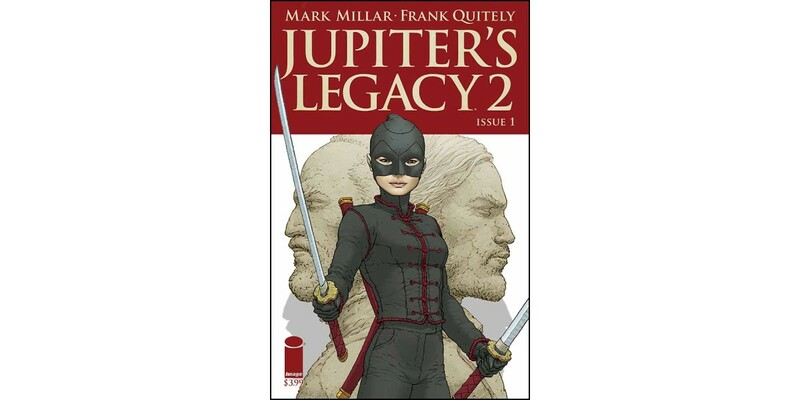 The critically-acclaimed JUPITER’S LEGACY by comics titans Mark Millar (Kingsman: The Secret Service, WANTED, CHRONONAUTS, HUCK) and Frank Quitely launched into an all-new story arc on Wednesday, June 29—Millar Day 2016. In order to keep up with frenzied demand for the title, Image Comics is pleased to announce a second printing that will hit stores on Wednesday, July 27th. The sequel to industry sales-beast JUPITER’S LEGACY is back in this jaw-dropping, plot-twisting issue and it boasts monthly Frank Quitely! Superhero offspring Hutch and Chloe have come out of hiding with son Jason to assemble a team of super-crooks from around the globe. JUPITER’S LEGACY, VOL. 2 #1 remains available for purchase across all digital platforms, including the Image Comics website (imagecomics.com), the official Image Comics iOS app, Comixology’s website (comixology.com), iOS, Android, and Google Play. JUPITER’S LEGACY, VOL. 2 #1, 2nd printing (Diamond Code MAY168864) hits stores on Wednesday, July 27th. The final order cutoff deadline for retailers is Monday, July 4th. JUPITER'S LEGACY VOL 2 #2 Cover A by Quitely (Diamond Code MAY160642), Cover B by Romita Jr. (Diamond Code MAY160643), and Cover C by Quitely (Diamond Code MAY160644) will hit stores on Wednesday, July 27th.